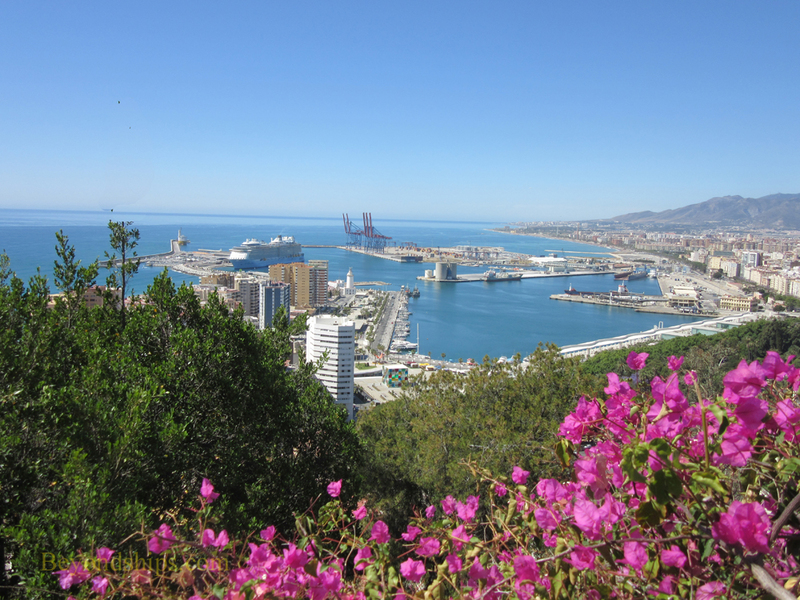 Malaga is known as “the capital of the Costa del Sol.” Sitting between a range of mountains and the shores of the Mediterranean, the city has a warm, sunny climate that attracts numerous tourists and ex-pats from all over Europe. As such, it is a tourism-friendly city. 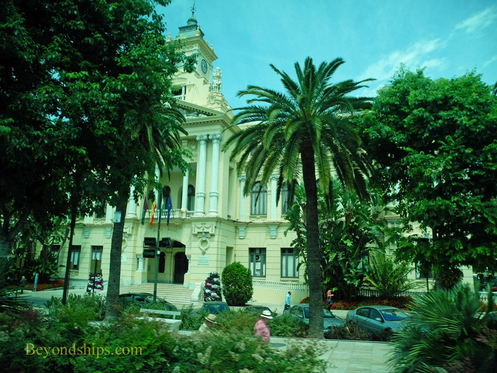 Officially, Malaga is a city and the capital of the Province of Malaga in the Autonomous Region of Andalusia, Spain. It has a population of over half a million residents. In addition to tourism, technology and construction are important sectors of the economy of Spain's sixth largest city. Malaga's most famous son is the artist Pablo Picasso. The city has two museums dedicated to him. One is the house in which Picasso was born, the other is the Picasso Museum of Malaga. Located in the Buenavista Palace, a 17th century Renaissance building, the latter museum has more than two hundred works donated by members of the Picasso family. Malaga is a a quite walk-able city. Many of the major attractions are within (albeit substantial) walking distance of the cruise port. 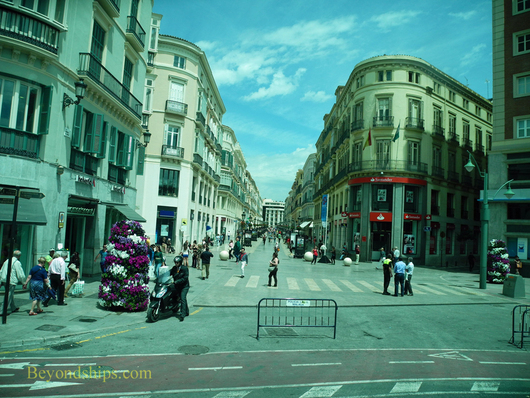 Below: A pedestrian-friendly shopping area in downtown Malaga. 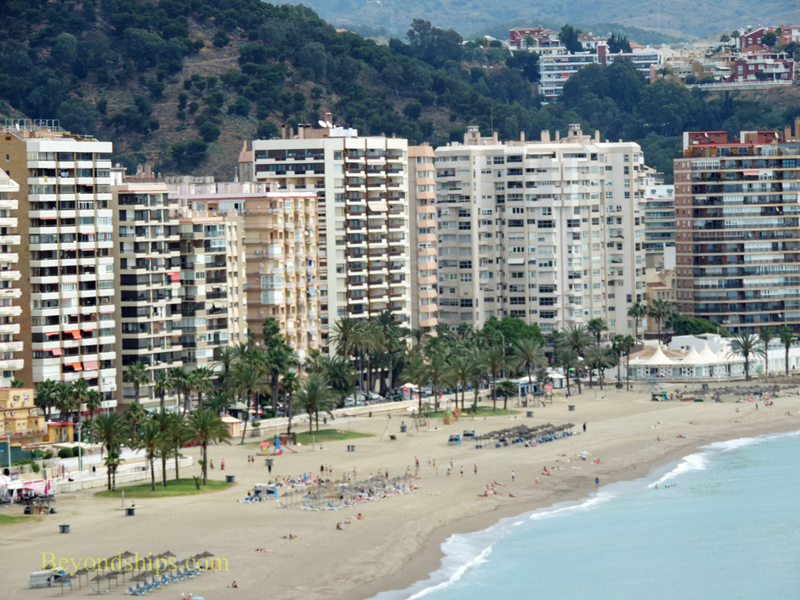 Above: As befits the capital of the Costa del Sol, Malaga has 16 beaches extending some 14 killometers. 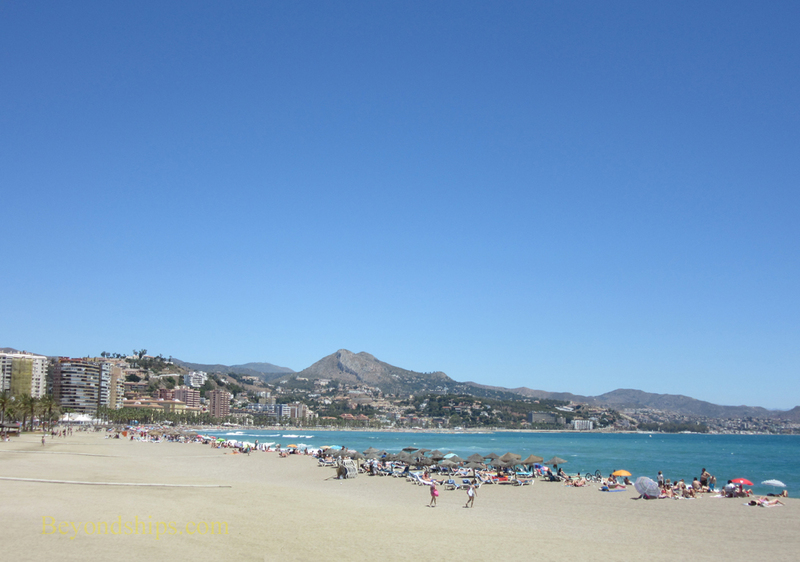 La Malagueta is close to and easily visible from the cruise port. 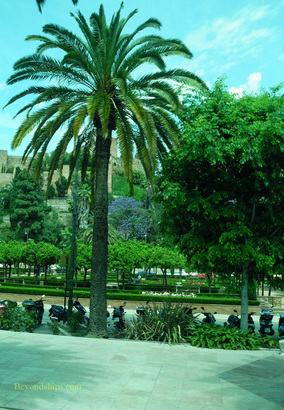 Right: Although a modern city, Malaga is also traditional. 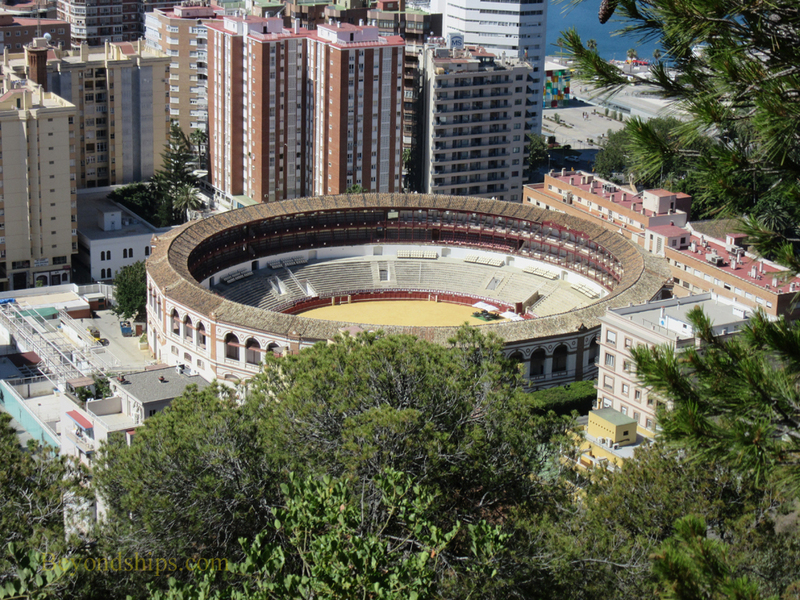 It has a large 19th century bullring which includes the arena, corrals, equestrian stables and a museum. Although controversial, it is still used for bullfights especially on holidays.